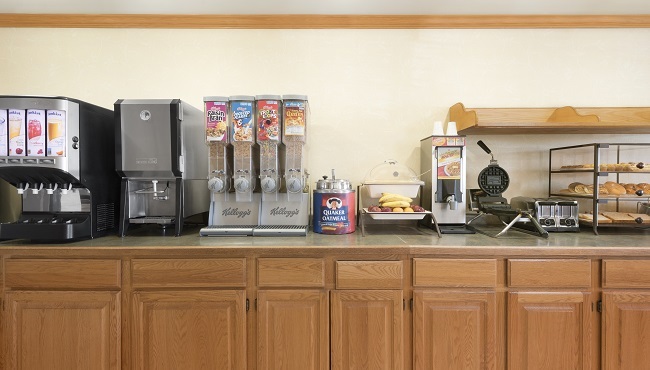 The Country Inn & Suites, Milwaukee Airport, WI readies you for every adventure, whether you're heading to a seminar at the Wisconsin Center in downtown Milwaukee or exploring area attractions. At our free, hot breakfast, you’ll enjoy options like biscuits and gravy, eggs, bagels, waffles and cereals. Wash your selections down with a warm cup of coffee or a fresh glass of juice. For lunch or dinner, visit nearby restaurants like The Packing House, which offers hearty entrees like chicken cordon bleu, roast duck and shrimp scampi, along with a classic Friday Fish Fry.